Shiva Nataraja, or the dancing Shiva, symbolizes the a dance of creation and destruction, turning old into new. 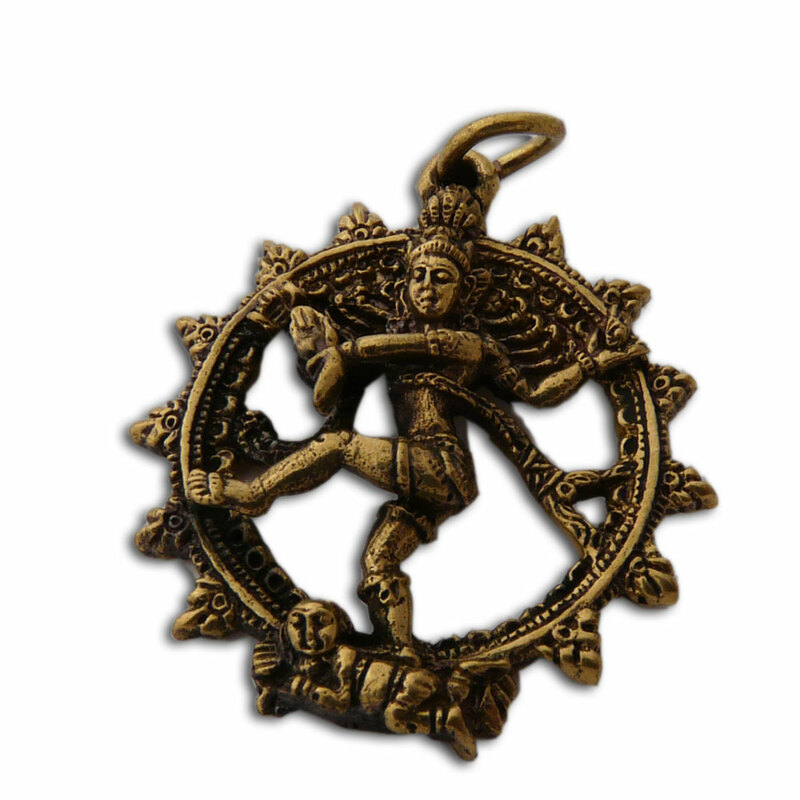 This dancing siva pendant is made of recycled brass. Dancing Shiva, also known as Natraja, is highly symbolic. Dance is an act of eternal creativity and change, old turning into new and thus is both positive and negative (celebration and mourning). We are all born, live and die. This is cosmic impermanence. Shiva brings us to bliss. Sterling silver Shiva nataraja or Dancing Shiva charm. The little shiva pendant is part of our charmas line. It is a 1.5 cm charm with a lobster clasp to make it easy add to your charm bracelet or necklace. Shiva Nataraja, or the dancing Shiva, symbolizes the a dance of creation and destruction, turning old into new. This dancing siva pendant is made of sterling silver. Buy just the pendant or with a necklace.